KMS hair – Start. Style. FINISH. I hate hair! Styling hair. It’s just is not really my favorite thing. I love dressing up, putting on heels, playing with makeup (a lot of makeup) and by the end of it all I am too tired to style my hair. When it comes to my hair, I want something that is easy, effortless but looks like you just stepped out of the salon. KMS hair philosophy is just that, “start, style, finish” and has created salon products that makes styling as effortless and easy. Their product line is broken down into the three steps. The “start” product lines consists of shampoos, condition and repair treatments. The “style” products allow you to create natural and easy styles with one product and “finish” products are the final touches consisting of sprays to lock in the long term style without any problems. I tried out a few KMS styling products to see him for myself how easy it was to style and I created a few very basic looks that can be done by everyone, everyday. First style I wanted to try out was effortless beach waves, a style we see done on every celebrity. It is one of my favorite looks that I would like to achieve everyday this summer. 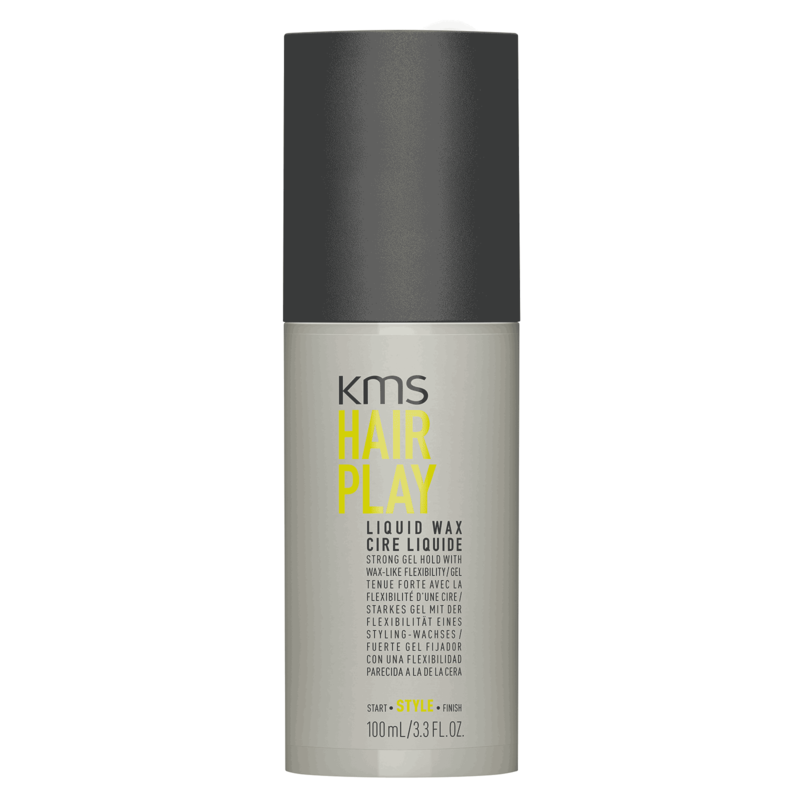 The ” KMS Hairplay Sea Salt Spray” is made up of dead sea salts and is used on damp hair, lightly tousled and air dried gives you a wavy look with a matte finish. You can also blow-dry it afterwards if you want to get more voluminous curls. This is such an easy, quick way to style your hair and leave your house. I have a feeling the majority of my summer will consist of using this! Another popular look is the “instant facelift” pony tail. This is created by doing an extremely tight pony tail and having it pulled back. I love this look and to achieve it so easily, I used the ” KMS Hairplay Liquid Wax” to slick my hair back and give it a smooth wax like finish without any fallout and stayed in place for the entire day. This liquid wax is a jelly formula where you just need a tiny bit to spread out evenly. You can add it in damp hair or dry hair for more flexibility. I found this so amazing to use with my thick hair, I didn’t have to use any extra bobby pins to get the perfect slick look. Lastly I tried out the “KMS Hairplay Makeover Spray” which is essentially a dry shampoo . Dry shampoo has become one of my most popular hair products, especially for us lazy girls 😉 Not only does this spray bring back volume and shine to your scalp but it also works great as a finishing spray for any style. You simply spray into into your hair to absorb the excess oils and then throughout the hair to give it more texture to your style. Check out more of the KMS products to see their entire line up of products! Follow me around on my socials. I’ve never heard of these products before but they sound great! Lovely post. ooooh… that makeover spray sounds greaT! Great tips. Looks very good. I should try the same. Thank you. These look like quality products. I need some new hairspray!